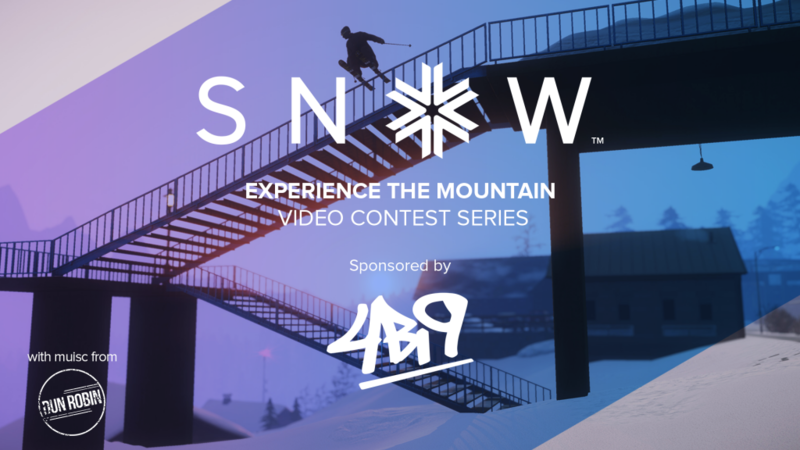 This month's video contest was sponsored by 4bi9, masters of urban skiing films. Therefore, we asked you to create your best urban skiing video in Whiteridge. Winners would receive credits, a SNOW t-shirt, and even some swag from 4bi9 themselves! Additionally, all participants would also receive a participation reward. This month's 1st and 2nd place were very close with only ONE point separating their final scores. So who are the winners, you ask? Good question! Congratulations to Arendsoogg! You win 2,000 in-game Credits and a SNOW t-shirt / sticker pack! Congratulations Pontus Olsson on your second place position. You win 3,000 in-game Credits, and a SNOW t-shirt / sticker pack! The first place prize goes to Kasbr who won over the judges with his creative riding, editing, and camera work. You win 5,000 in-game Credits, a SNOW t-shirt / sticker pack, your name in Sialia's hall of fame, and most importantly a 4bi9 t-shirt! Congratulations to all the winners and everyone who submitted an entry this month. Your participation reward will be added to your account in the coming days. Stay tuned for the next contest coming soon!